The Arizona Biltmore in Phoenix was the site for a night of music, singing, laughter and even a history lesson as The Salvation Army celebrated 125 years of service in Arizona May 19 with a western-themed dinner gala, gathering many loyal and generous community partners. A stirring rendition of the national anthem by Major Dawn Rocheleau kicked off the evening’s festivities, chaired by Arizona luminary Jerry Colangelo and long-time Salvation Army supporters Bill and Kay Shover. 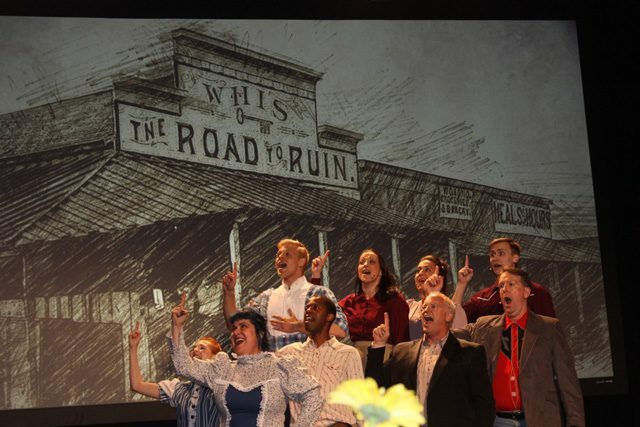 The Phoenix Theatre took the stage for a masterful 14-minute production about the early history of Arizona and The Salvation Army’s establishment in the state in 1893. The band culminated the opening number with “Onward Christian Soldiers,” which all officers on hand sang loudly and proudly. (l-r) Bill Shover, Southwest Divisional Commander Lt. 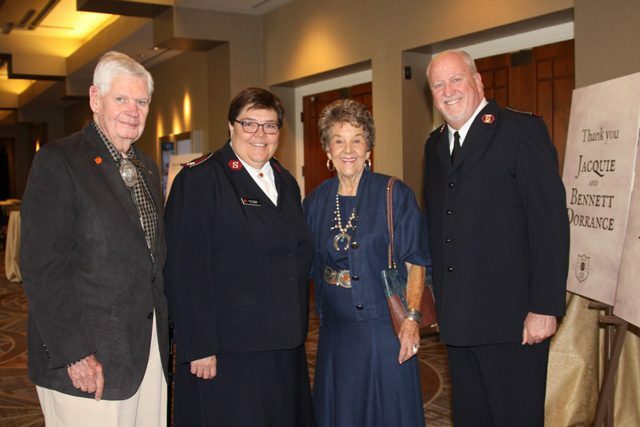 Colonel Kelly Pontsler, Kay Shover, Western Territory Chief Secretary Colonel Douglas Riley at The Salvation Army’s celebration of 125 years of service in Arizona. Southwest Divisional Commander Lt. Colonel Kelly Pontsler welcomed the more than 700 guests in attendance, who were then regaled with a “Did You Know?” presentation of fun facts blended with the Army’s global impact by Western Territory Chief Secretary Colonel Douglas Riley and National and Metro Phoenix Advisory Board member Marlene Klotz-Collins. The Phoenix Theatre presents the history of Arizona and The Salvation Army’s establishment in the state in 1893. A unique perspective on the efficiency of The Salvation Army was given by Dr. Karl Schultz, former lieutenant commander, U.S. Navy, who was on the front lines of response efforts during Hurricane Katrina. Schultz explained that the response team he led spent significant time providing supplies and relief to agencies and organizations tasked to help the survivors while The Salvation Army was supremely prepared and asked for no outside assistance in doing good. Metro Phoenix Advisory Board Chair Jeff Taylor closed the evening with his powerful story of drug addiction and homelessness, sharing how The Salvation Army helped him break that cycle and become an upstanding member of society. The event is projected to raise more than $500,000 to benefit The Salvation Army’s life-changing social services in the Southwest Division.